The GunDivas' GunDudes are a group of men who have supported us in many different ways and will be posting on occasion. "Rumors to the contrary, Daddy Hawk was not born with a gun in his hand; however, it didn't take him long to pester his grandfather into letting him shoot guns. His earliest memories of guns are shrouded in the repressed memories from prior to his parents' divorce at the tender age of 10, but the incident with 12 gauge at about age 6 remains forever etched in his psyche as the moment he became hopelessly addicted to recoil. Daddy Hawk is drawn to firearms for several reasons: as expressions of freedom and responsibility, as objects requiring patience and skill to master, as examples of art and engineering...that, and the fact that they make loud noises and destroy things. He is neither law enforcement nor former military. His firearms experience could best be described as "retarded hobbyist" or "gifted amateur" depending on how charitable you are feeling although the Boy Scout Marksmanship merit badge he earned suggests he's not completely clueless. The good Daddy lives in the Dallas Fort Worth Metroplex with his long suffering wife, Queen Ginger the First, and their daughter M&M." "I have been active in target shooting for over 20 years. And have been an active competitive shooter for 10 years. And recently became an NRA certified basic pistol instructor. I enjoy all aspects of firearms. From shooting, to learning about firearms and even gunsmithing my own firearms. This has been a life long love. But didn’t really take off until after escaping from formal schooling into the free market. One particular joy is trying new firearms of all types. I have shot many type of firearms from old black powder muskets to modern full automatic machine guns (at the annual machine gun shoots). If my personal budget was bigger, I would own one of everything. But, since I’m not funded by the American Taxpayer, I must confine myself to my own small collection that is in a perpetual state of flux as I change my mind on what must be held in the collection (this week). I am always on the lookout for a new shiny boomstick to play with, explore, customize and blow stuff up with." "Following Shepard K's Daddy Hawk's lead by way of introductions, I go by Double Tap, I'm an NRA Certified Instructor, NRA Certified Range Safety Officer (RSO), Refuse to be a Victim Instructor, competitive shooter, and Student of all things self-defense. I met GunDiva at the range, shooting competitively a number of years ago and we've been friends since. Seven or eight years ago seeing gals at the range was a bit rarer than it is today, almost an anomaly for the time. I've limited my writing mostly to FaceBook, though GunDiva has been encouraging me to get a blog or a web page of my own for years. She recently offered the opportunity to write here occasionally, so I jumped at the opportunity and I thank her for it. My love is the pistol- revolvers, semi-autos, S&W, Glock, 1911s, I love them all. I've done some hunting in the past, I currently dabble in ARs, karate and knives, but I'm passionate about self-defense. Whether it be defensive shooting, instructing new shooters, or improving a shooters skills, I'm on it and I'm trying to learn more about it. I'm a pretty active instructor in NOCO, and each class I'm amazed by the numbers of people who are just becoming aware of taking responsibilty for their own safety. Better late than never I guess, but these are the people who have had a taste of what it might be like to be a victim and have no further desire for that meal. I respect that decision, and I'm here to help in whatever way possible. I'm looking forward to exchanging ideas with you about equipment choices, practice or training regimens, carry methods, or just what happened at a fun day on the range." "I am responsible for the creative/marketing side of things here at TheGunDivas.com. I have my bachelor degree in graphic design as well as an associate degree in culinary arts. Aside from my creative outlets I have always enjoyed shooting and I really thought I was an avid shooter/gun owner; that was until I met the folks here. I have a lot to learn about the industry and am eager to try new things and make new discoveries. It is my pleasure to be designing logos, t-shirts and business cards for the site and I will be contributing my own reviews and thoughts on firearms, equipment and training classes in the future. 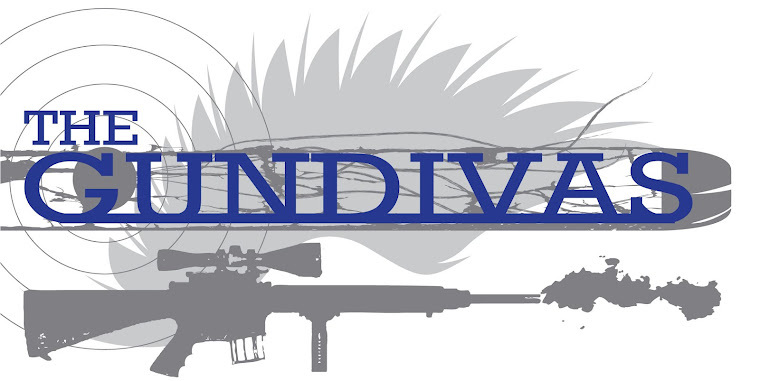 So put on your eyes and ears because we are going hot over here at TheGunDivas.com and there is no ceasefire in sight!" Robbie began shooting at a very young age (5 years old) and hasn't stopped. He is our resident hunter, helping Tara Janzen get started with her first antelope hunt five years or so ago. While most of the GunDivas/GunDudes team are defensive or recreational shooters, Robbie uses his skills to feed his family throughout the year.